The Tamil Nadu Dr. M. G. R. Medical University is one of the premier Medical Universities of India named after the former Chief Minister of Tamil Nadu, late Dr. M. G. Ramachandran and it is the second largest Health Sciences University in India. 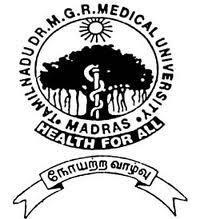 Established on 24th september 1987, yhis is the only Medical University in Tamil Nadu capable of granting affiliation to new medical and paramedical colleges, government or self - financing; and awarding degrees (until 1988, all degrees of Health Sciences were awarded by the University of Madras). Besides Medical and Paramedical courses, the University also regulates dental education and education in the Indian systems of medicine under a single umbrella to maintain uniform and high standards of education. The University also promotes research and disseminates knowledge gained there from. 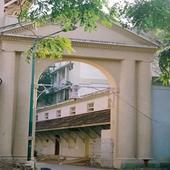 Tamil Nadu Dr. M.G.R Medical University, Chennai has 238 affiliated Colleges. Click here to explore them. 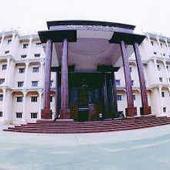 Tamil Nadu Dr. M.G.R Medical University, Chennai has 7 Departments listed that offer various academic courses. 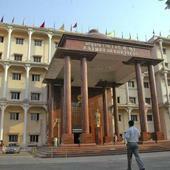 Are you Interested in studying at Tamil Nadu Dr. M.G.R Medical University, Chennai?